If you know a song from one major scale and want to shift that song to other major scale, then what is the process ? Initially let us select any two major scales and a song. 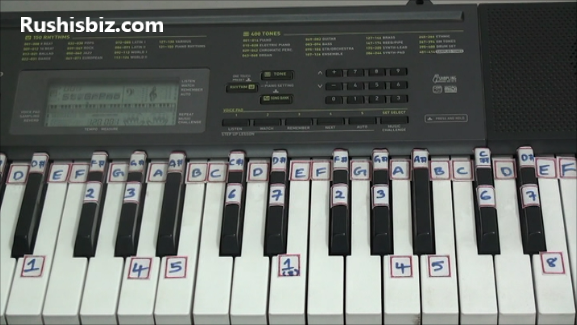 Any major or minor scale will have basic 8 notes. 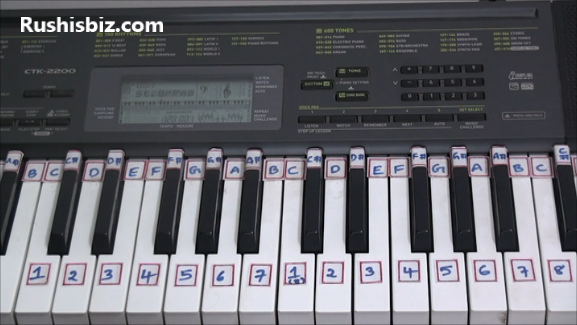 In ‘E’ major scale the key ‘E’ is known as root key or 1st note or 8th note. The notes which are on right side of ‘E’ are known as high notes and which are left to ‘E’ are known as low notes. Similary in ‘C’ major scale the key ‘C’ is known as root key or 1st note or 8th note. The notes which are on right side of ‘C’ are known as high notes and which are left to ‘C’ are known as low notes. Now apply these numbers in ‘C’ major scale or any major scale, you will get the same tune and same song. So, just try to note down the numbers of one major scale and apply it to other major scale as simple as that.